SAVE MONEY by Mixing and matching images and image sizes to suit your needs. 11" x 17" image area. Available in all print processes. Enhance your brand with tagless shirt labels! 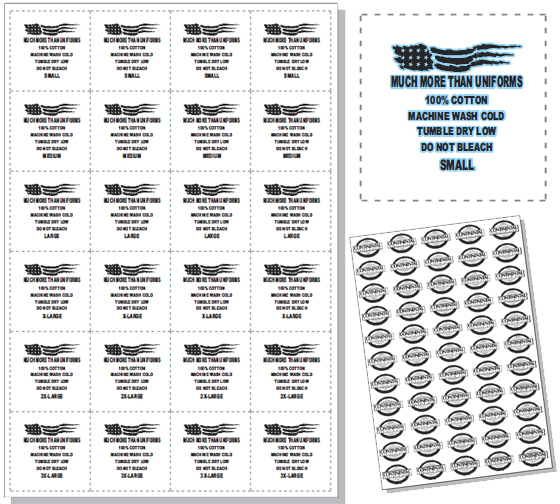 Ganged sheets are a great way to get labels for every size shirt you need at a price you can afford!